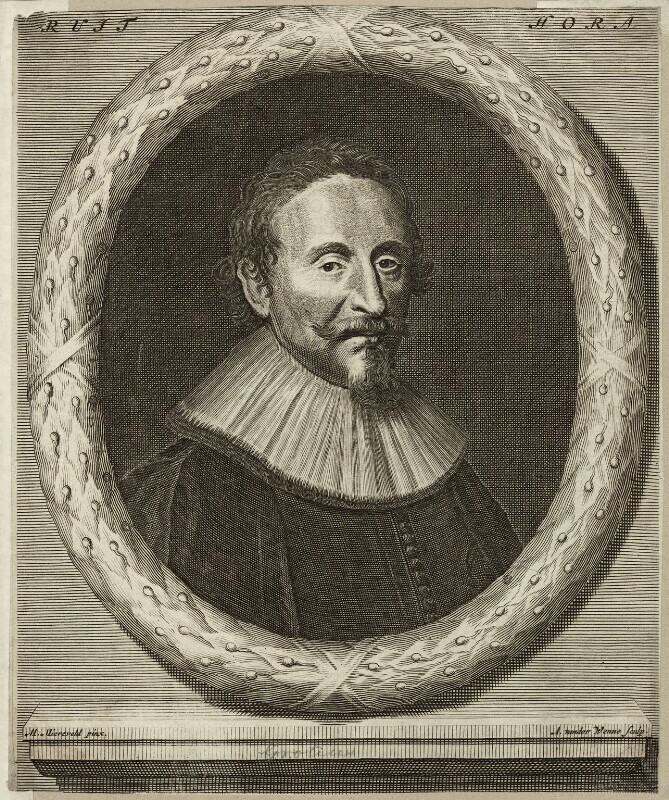 Huigh De Groot (Hugo Grotius) (1583-1645), Dutch scholar. Sitter in 13 portraits. Michiel Jansz. van Miereveldt (1566-1641). Artist associated with 63 portraits. Abraham Meindersz van der Wenne (circa 1656-1693), Engraver. Artist associated with 1 portrait. Charles I's first surviving child, Charles, is born in St. James's Palace. He is baptised by the Anglican Bishop of London, William Laud, and brought up in the care of the Protestant Mary Curzon, Countess of Dorset. The Cottonian Library, containing the greatest resource of Old English and Middle English literature, founded by antiquary and anti-royalist, Sir Robert Bruce Cotton, is confiscated by the authorities. Philip IV of Spain and Charles I sign the Treaty of Madrid, ending hostilities between the two countries. Spanish diplomat, Cesare Alessandro Scaglia, assists with the conclusion of the peace deal. German, Protestant land is regained from Catholic allies on account of Swedish intervention in the Thirty Years' War.